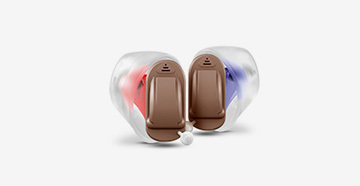 Hearing aids are the embodiment of technology in miniature. This means that you are going to have all the tubing and circuitry that you need to help your hearing and it’s all tiny in size and sits in the palm of your hand in a little shell. The last thing that you want from your hearing aid is to have to take it into a hearing instrument specialist to get it fixed. Why? Because you have a life to get on with and your hearing aid repairs are a pain that you could do without. Sure, it can – and does – happen that the hearing aid could break down and malfunction, but ideally, you want to prevent that from happening. In the meantime, knowing how to troubleshoot your hearing aids can help you to perform some of the easy hearing aid repairs in your own home. You can, of course, get in contact with your hearing instrument specialist, but first, you need to consider the options. After all, getting an appointment right away may not be possible and when your hearing is at stake, you may not want to wait too long. Secondly, minor hearing aid issues can often be handled at home, all you need is a little know-how and a lot of confidence. Hearing aids are the most common way to treat hearing loss of all levels, but that doesn’t mean that you won’t run into trouble from time to time. You should be given a small instructional session by Advanced Hearing Care when you attend your appointment, but if you’ve lost the literature, don’t worry. Below, you will find a few of the most common hearing aid repairs that you may need help with. Start with removing them and inserting them again. Next, turn the volume down. Sometimes, interference can cause a high-pitched and uncomfortable noise to travel through your hearing aids. Turning the volume down can also help you to lessen the sound seeping through. 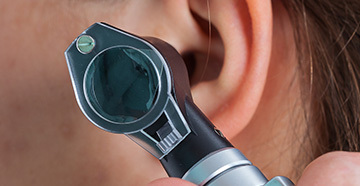 Speaking to your hearing instrument specialist about ear cleaning can help to remove a buildup of wax. Distorted sound and fizzing can be uncomfortable to deal with in the ear, but that doesn’t mean that you have to deal with it. It can also be caused by the battery malfunctioning, so, take out the hearing aid and visually inspect the battery before you do anything else. After you take out the hearing aid, check out the metal prongs on the battery. Those little things that connect with the battery whenever the door is shut are important! Clean out the battery compartment and look at the condition of the prongs and the tubing. You’ll notice issues, especially if these have corroded. Adjust the settings in case you accidentally had it on a different one to usual. Lastly, speak to your hearing instrument specialist at Advanced Hearing Care if this doesn’t work. When you have a hearing aid fitted specifically to help your condition, the last thing that you want is for it to stop producing sound. Check the actual hearing aid to ensure that there is no wax blocking the microphone and be very careful with any debris that could be blocking it – you don’t want to make it worse. Use a cotton swab to clear the debris. Check again that you’ve even turned your hearing aid on; you’d be surprised how many forget to do this before panicking they’ve gone deaf. Experiment with different levels of sound and push up the volume, just to be sure that you’re not missing anything that way. Go through the procedure to replace the battery of the hearing aid so that you can ensure that it’s in the best condition possible. My hearing aids are too extremely quiet!